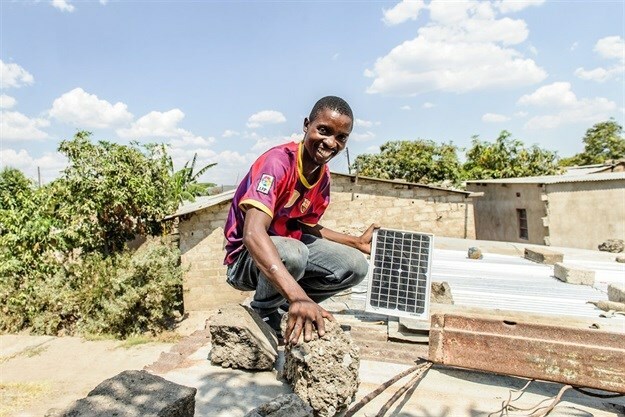 The Beyond the Grid Fund for Zambia (BGFZ) has resulted in 100,000 Zambian households having gained access to clean energy. Funded by Sweden and managed by the Renewable Energy and Energy Efficiency Partnership (REEEP), BGFZ was launched in 2016 with the aim to expand access to clean, reliable, affordable off-grid energy in rural and peri-urban areas in Zambia. 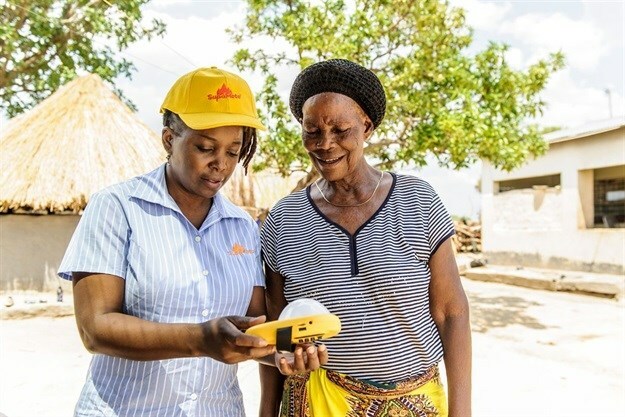 The BGFZ programme supports four companies and works closely with the government in its efforts to build a thriving market for off-grid energy services, and is on track to connect 1.6 million Zambians by 2021. The four companies contracted by BGFZ have now sold 100,000 connections to clean energy to customers in rural and peri-urban areas, reaching more than 500,000 people in total. Connections range from small, entry-level solar home systems that can power lights and a phone charger to mini-grid connections, which offer similar service to the national grid. All products deployed by the companies meet minimum quality standards, and all companies offer a three-year warranty. Mwansa said he was “excited to continue working with BGFZ and our other partners in the Off-Grid Energy Task Force towards our national electrification goals”. Following the success of BGFZ’s approach, the Government of Sweden has announced that it will be expanding the programme to Burkina Faso, Liberia and Mozambique, and in addition initiate a further funding round in Zambia. This new, €48m Beyond the Grid Fund for Africa will aim to connect at least five million people. It will be implemented by the Nordic Environment Finance Corporation (NEFCO) and REEEP. Currently, some 70% of Zambia’s population does not have access to modern energy services, with many relying on expensive, unreliable or potentially harmful solutions for cooking, heating and powering lights and appliances. “Through solar home systems or micro grids for villages, millions of people can get access to electricity that otherwise would have been left unconnected in the foreseeable future. BGFZ has really exceeded our expectations. We have proved that small-scale energy solutions can generate large-scale effects,” said Anders Arvidson, project lead for the Swedish International Development Cooperation Agency (Sida) Power Africa Initiative. BGFZ employs an innovative results-based financing mechanism to incentivise companies to move into underserved parts of Zambia. Four companies were contracted for the first funding round, three of which were already present in Zambia and one of which entered the market as a result of BGFZ funding. 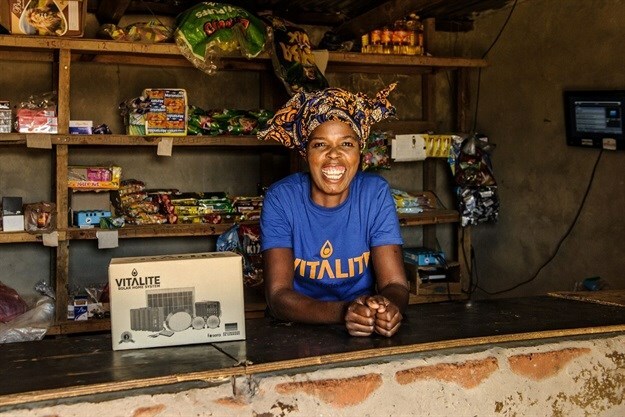 Three of the companies, Fenix Intl., Vitalite Zambia and Emerging Cooking Solutions offer solar home systems and one, Standard Microgrid, constructs mini-grids that can power whole communities. Using financial mechanisms that allow customers to 'pay-as-they-go' for energy services, and delivering their products and services through community leaders and local agents, the companies have made affordable, clean energy available to more people in more places in record time. “Beyond the Grid Fund for Zambia has played an absolutely essential role in delivering catalytic early-stage capital to help Standard Microgrid and others de-risk high-impact activities benefiting Zambians,” said Matthew Alcock, chief technology officer of Standard Microgrid, which will build micro-grids to deliver 24/7 AC power to 130,000 Zambians in the next few years, through the fund. 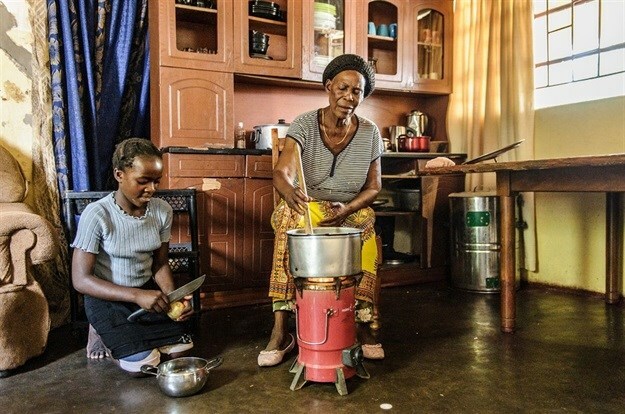 Mattias Ohlson, CEO of Emerging Cooking Solutions, known locally as SupaMoto, said the company has provided solar home systems as well as affordable and clean cooking solutions to people previously using environmentally destructive, unhealthy and expensive charcoal for cooking. “We’ve been able to light up entire villages,” he said. BGFZ has also been working with the Zambian government, private sector representatives and development partners to improve market ecosystem conditions through a combination of capacity building and technical assistance, stakeholder outreach and market intelligence development. This work has been formalised as the Off-Grid Energy Task Force, embedded in and led by the Ministry of Energy. Since its launch in April 2018, the Task Force has met four times and already, among other activities, facilitated a VAT exemption for LED lights, the drafting of a new national mini-grid policy and the initiation of discussions to improve the affordability of off-grid energy solutions. A socio-economic impact study produced by the Centre for Energy, Environment and Engineering Zambia (CEEEZ) reports that over 95% of BGFZ customers rated their products and services as ‘good’ or ‘very good’. Around a quarter of customers have initiated new income-generating activities since gaining access to electricity, and 87% said they are spending less money on lighting and power. The main benefits of the energy services provided, according to the customers, were easier communications via mobile phone, as they could now charge phones at home; improved access to current affairs and entertainment via radio and television; and cleaner air indoors due to the replacement of candles with electric lighting and charcoal cooking fires with improved cookstoves. Many customers also mentioned that, especially in households with children, electric lights are much safer to use than candles, and that they feel safer outside now that they have lighting outdoors. Reflecting on the programme, marketing manager Cassandra Mhone of Fenix Intl, the company behind the ReadyPay solar products, said that through BGFZ, and in keeping with the company’s mission, ReadyPay had “managed to positively impact the quality of life of our customers by encouraging them to use our solar kits to increase earnings from their micro and small to medium enterprises”. 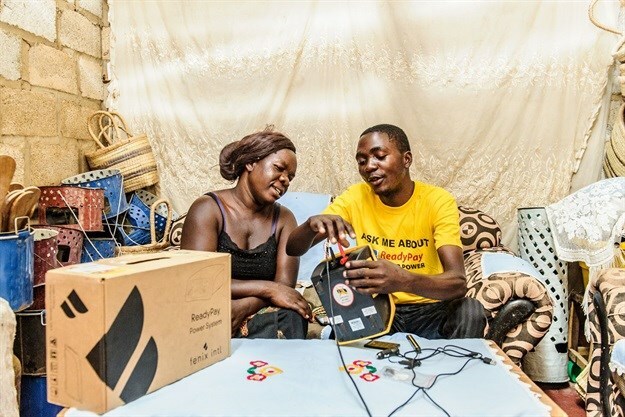 In order to track the progress and impacts of the Beyond the Grid Fund for Zambia, Sweden and REEEP have developed the Energy Data and Intelligence System for Off-grid Networks, or EDISON for short. This system collects information on new connections, jobs created, and people impacted directly from the four companies’ internal systems, and displays this in real time on a public dashboard. To date, nearly 2.3MW worth of clean energy systems have been installed, more than 1,100 full- and part-time jobs have been created, and over 1,400 businesses have benefited. These numbers continue to tick upwards in real-time and can be viewed here. “These numbers really prove that development can happen while addressing climate change,” said Magdalena Svensson, of the Swedish Embassy in Lusaka.